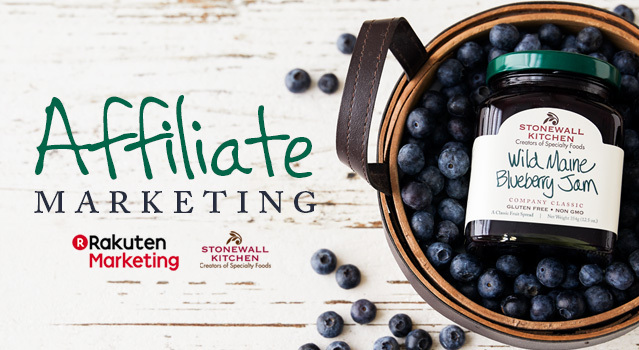 When you join Stonewall Kitchen's Affiliate Program, you partner with our globally recognized, award-winning team. Founded in 1991 by partners Jonathan King and Jim Stott, the two established themselves selling jams and jellies at local farmers’ markets, fairs and festivals with their flavorful line of distinctive and high quality food items. Stonewall Kitchen now boasts more than 6,000 wholesale accounts nationwide and internationally, thriving catalog and web divisions and 10 retail Company Stores along the East Coast. As winners of 29 prestigious awards from the Specialty Food Association and the recipient of the coveted Outstanding Product Line Honors three times, Stonewall Kitchen is proud to be one of the most awarded specialty food companies in the country. When your users buy products through those links, you earn cash! When you join, you’ll be able to view reports, track conversions, and receive automatic payments through Rakuten Affiliate Network. What are you waiting for? If you have questions about our Affiliate Program, please contact us for more information.